We hear about company culture aiding performance, meritocracy, competitiveness, execution. 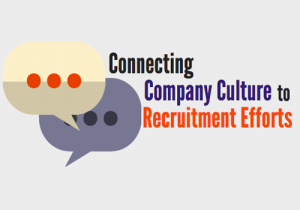 But, company culture aiding recruitment isn’t talked about much. May be, because recruitment is not yet taken the centre stage as much as the other aspects have! We call it a meritocratic culture when talented people and meritorious performance get recognized. Similarly, it is a recruiting culture when the employees believe in spotting good talent for the company and the managers know how to attract good talent. How significant is recruiting culture? Smart business leaders know, talent is the only capability that they can leverage differently vis-à-vis their competition. They can replicate all the other inputs such as technology, equipment, finance and the knowhow. As the world is getting increasingly globalised, location, regulatory environment and access to markets are nobody’s monopoly for most businesses. Company culture and its talent are unique to the company; hence, these must be leveraged the most to deliver differential results. Referral bonus is the most commonly used tool by organizations and the leaders of talent acquisition to involve the employees in drawing good talent. The underlying belief here is that financial rewards drive employees to look for good talent and refer them to the company. How true is this? If the company has a recruiting culture, its employees truly believe in drawing good talent towards their workplace and its importance for their organization. Marquee employer brands believe, their employees are their ambassadors. Try asking about the school to a student who loves his school a lot! All of us being humans, value our life at the workplace and the nature of work we do. Hence, it is natural that we would talk about our work life and company to our friends, family, relatives and all our contacts at right moments of time. We proudly wear our belongingness as a badge of honour; sometimes, we show it off too! We do not need an enticement to advocate our employer brand. We are not providing recruitment service to our company. Why should we be paid a fee to express our advocacy? Can an organization buy loyalty and advocacy? Budget of referral bonus should be utilized elsewhere! Recruiting culture cannot achieve anything unless we transparently publish all open positions. Many organizations do not have a good handle of all open positions. Their digital channels do not carry the list of open positions. Systems do not show up matching candidates. Further, applicants do not get a quick response against their applications. All of these problems are commonplace because recruiters do not give adequate focus on applicants. A company with a recruiting culture addresses all these at their roots and influence common thinking across the company. The system must reward and recognize efforts to clearly mention what is required uniquely to fill a role. Normally organizations have job descriptions that they hand out to recruiters internally as well as external agencies asking them to submit suitable resumes. Lot of efforts go in vain because the recruiters’ evaluation of candidates does not match with that of the hiring managers. The job description does not explain what exactly is needed to be successful in that role and the context of the organization. Do we know who is a good talent for us? Often we hear candidates tested on their knowledge on a specific subject in an interview while the ideal instrument to assess knowledge level is a written test. Interviews are expected to evaluate a candidate’s fitment with the workplace culture, colleagues and the company. Senior leaders in the organization need to reiterate the value of picking the right talent. They need to invest their energy in deploying the right recruiting system and processes; at the same time, the hiring managers need to be trained well to use the recruiting tools appropriately. The interviewer needs to know how to conduct an interview, communicate the value proposition and articulate what will make the person successful in the role. Each interview is an opportunity of creating a lasting impression in the candidate’s mind. On the contrary, some interviewers ask irrelevant questions; some show off their breadth or depth of knowledge by asking tough questions. Senior leaders have the responsibility to build a recruitment culture by setting exemplary behaviours, communicating them, deploying the right systems and processes, checking from time to time how well the organization is able to attract top talent.